This summer, the Cherry Hill Education Foundation passed the Million Dollar mark! Since late 2007, the Foundation has provided more than $1,000,000 in grants and donations to the Cherry Hill Public Schools! In late July, the Cherry Hill Board of Education approved the latest CHEF donation: $13,598 to purchase 32 iPad Minis for the Barclay Early Childhood Center. The “Minis for Minis” grant application was submitted to benefit all 300+ students in Barclay’s preschool programs. Grant applications are submitted by teachers and principals. For a listing of all of the grants funded by the Cherry Hill Education Foundation since late 2007, please click HERE. The Cherry Hill Education Foundation is a non-profit, 501(c)3 organization whose mission is to raise and distribute funds for educational programs throughout the school district. 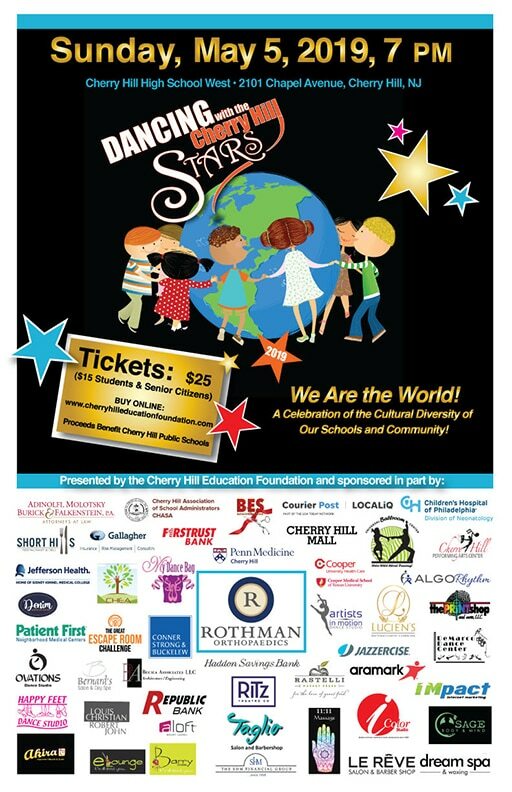 Fundraisers include an annual Golf Outing and CHEF’s signature event, Dancing with the Cherry Hill Stars.